Sometimes I really enjoy diving into electronics books with a freshly brewed coffee by my side. Just immersing into some interesting subject. But it is really important to not get stuck in the books. You need to get your soldering iron out and practice what you learn. Otherwise it’s no use learning it, right? There are many electronics books available today. And they can differ quite a bit in how they are written. And I love that! People like to learn in different ways. Some like the extremely detailed and heavy theory book, while other like to get practical and learn by doing. 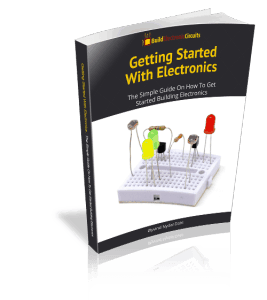 In this article I’m going to cover a few electronics books that will help you learn electronics from scratch or expand on the knowledge that you have already gained. The heavy electronics theory books tend to be a bit more pricey than standard books. The two books I have listed here should be worth the investment though, if you see yourself working with electronics for many years to come. The Art Of Electronics is a book that offers a vast amount of circuits and theory. It is not a “Getting Started” type-of-book, but rather a collection of theory and circuits. And it is really helpful to have as a reference book when working with electronics. This is one of the electronics books that I have in my bookshelf, and it has been really helpful both in my studies and in projects later in life. This book on electronics is recommended by many as a really detailed book on all the fundamentals of electronics. It has a lot of theory and would be suitable for you if you are studying electronics or if you are really dedicated to learning all the ins and outs of electronics. If you have this book and The Art Of Electronics you will have two electronics books containing almost everything there is to know about electronics. 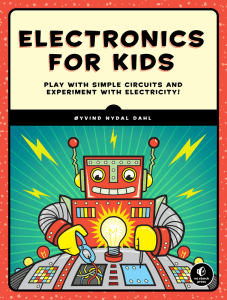 Electronics For Kids is the ultimate book for kids that want to learn how to build cool things with electronics. I wrote it as the book I would have loved to have when growing up. It’s suitable for all “kids” that are interested in electronics, even if you’re 8 or 100 years old. The purpose of this eBook is to answer that question in a simple and practical way. It includes step-by-step instructions on how to get started. No fluff. This is for the complete beginner who has no experience building circuits. Exploring Arduino is a book that helps you get started with Arduino. But it doesn’t stop there. It takes you through several topics so that you will be able to build very advanced projects on your own. Some of the projects you will build includes an LCD display project, using SD-cards and connecting your Arduino to the internet. The projects range from easy to medium and they’re suitable even for complete beginners. Learn how and why each circuit works. This is a book in the classic … for Dummies series. It has plenty of electronics projects that you can build. The book does not try to explain all the theory behind everything, but rather focuses on practical and fun projects to build. 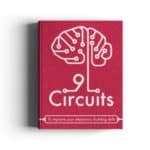 Make: Electronics is a book that aims to teach electronics through projects. It is packed with fun small circuits and projects you can build to expand your electronics experience. Or just for fun =) For example, one of the projects you will do is to build an intrusion detection alarm. It is really a nice and useful piece of info. I glad that you shared this helpful info with us. Please keep us up to date like this. Thank you for sharing.